your essentials. We love this Rebecca Minkoff leather backpack. 3. It's hot out there! Hydration is KEY if you are in it for the long haul. bottles. It saved our lives this year to say the least. can bring. 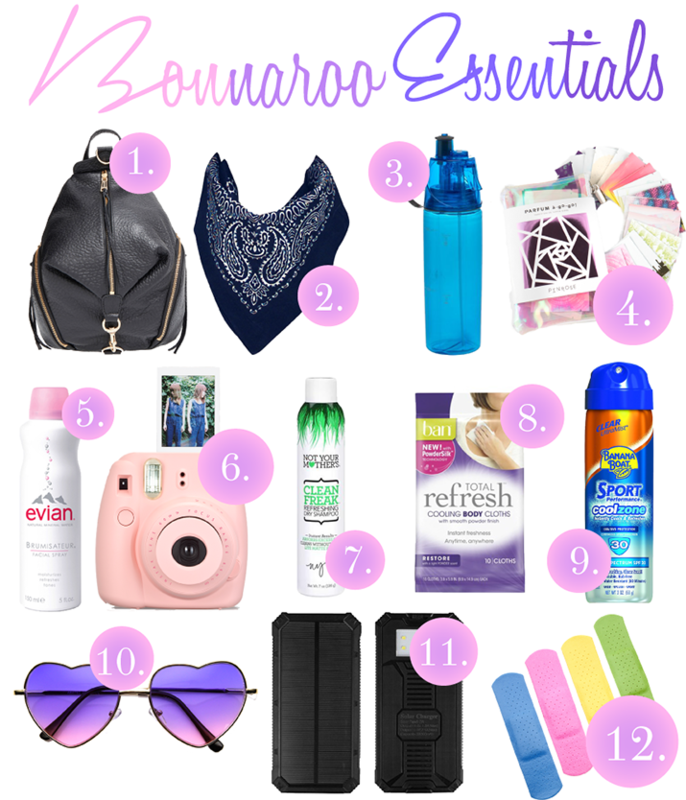 Bonnaroo does not allow glass bottles (AKA, perfume). Thankfully, we discovered these Perfume Wipes from Pinrose. 7. Dry Shampoo. Enough said if you are camping. wipes are a great way to stay fresh and cooled. Block with the Cool Zone. to pack a pair of "cheapies"...just in case. you pack an external charger. We suggest a SOLAR charger. Charges during the day, keeps your phone alive all night! that aren't quite "festival friendly".